Meryl Streep puts up her dukes. Last night was the launch of the 2015 Palm Springs International Film Festival, featuring Hollywood's stalwart icon greats from Streep to Cooper and Hanks to Roberts. 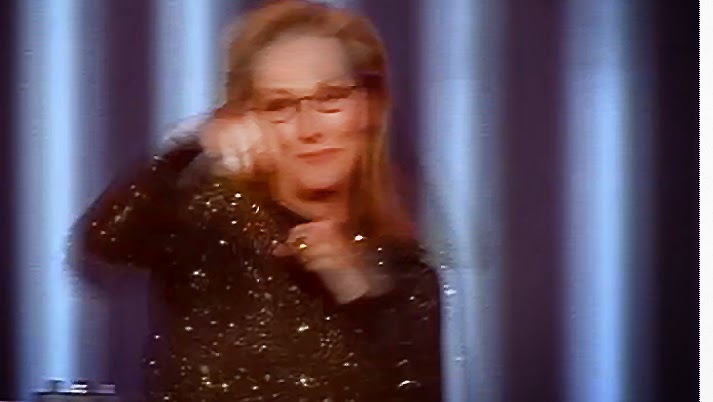 Highlight of the night flashed in a sudden moment when Meryl Streep declared that, "You just can't put those old girls out to pasture," after which the 65 year-old put up her fists, galloping across the stage."